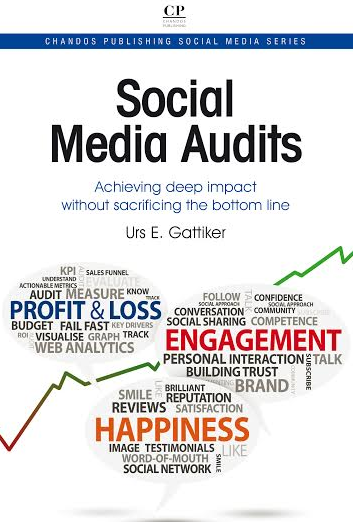 This ComMetrics checklist focuses on how proper social media metrics facilitate a firm’s efforts to assess whether its Facebook, Identi.ca, Twitter, Xing or other group, as well as weblog strategy is actually working. The increase of marketing budgets for social media from six to 18 percent over five years cannot be justified without social media metrics that work. We discuss some of the c-suite’s social media metrics challenges below. But before you miss the next post, why not enter your email below to get alerted first. 1. Social media marketing – what purpose does it serve? Unless we can answer this question, we are in danger of wasting scarce resources, including cash. In fact, social media is likely to take much more in terms of resources than we think when we begin. So what is it you want to accomplish? Spell it out on a napkin and put it through a simple acid test: try convincing three of your biggest detractors – your Internet-savvy grandma, your teenaged kid AND one of the key clients targeted in your social media venture. Want help? Download the ComMetrics eBook series #01: Why benchmark social media? 2. Are Twitter followers, Facebook fans or blog subscribers worth anything? In most instances, a small manufacturer’s clients are unlikely to want to connect via Facebook or use Twitter. Just as all website visitors do not have the same value, neither do all Twitter followers. We use Twitter to get great links to blogs, white papers and research reports, so we follow the Twitter accounts that deliver – no sales but great insights for our business. Connecting and engaging with our clients is better served via our corporate blog, which reaches out to people interested in social media monitoring. Read resource: The myth of RSS or, why it fails with my readers, Twitter: a glorified autoresponder? 3. 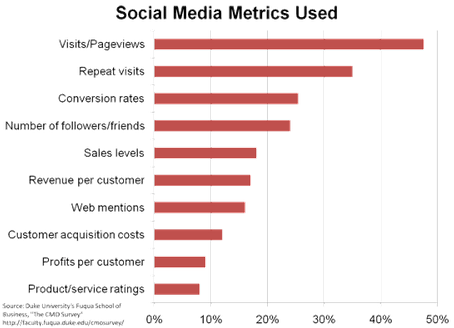 Social media metrics – it may be easy to collect, but does it make sense? Having set the objectives – including being clear that maybe our clients are more likely to read our blog than follow us on Twitter – we now have to decide which measures we want to use to assess performance. Recent data reveals that no social media metrics enjoy an adoption rate above 50 percent (see graphic), indicating that this medium still has a long way to go to reach maturity. The measures that are easiest to collect (e.g., pageviews and unique visitors) seem to win the day. But social media is not intended to increase profits per customer, sales levels or lead to conversions as listed in the chart above. Instead, social media marketing enables better engagement and creating trust, which might affect important operating metrics such as customer satisfaction. While this influences sales, it does so indirectly through operating metrics and as such, conversion rates are not the appropriate measuring stick. Whatever social media metrics are applied, they must fit your company’s context, business and products (e.g., consumer versus capital goods), and most importantly, be SMART (Specific, Manageable, Actionable, Relevant, Trending). 4. 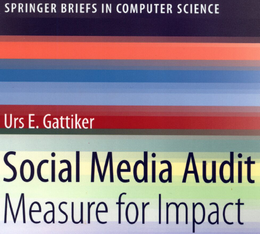 Social media benchmarking – are we comparing apples with oranges? Is this a benchmark that makes sense? Maybe if you are selling to consumers, but what about if you are in the business of manufacturing sleds in your wood shop? Comparing my blog with Madonna’s makes little sense. I need to find blogs in the same industry, by firms of the same size and so forth. In that case, comparing the trends regarding my and my competitors’ blogs makes a lot of sense. 5. Top 10 traffic – is that meaningful? Again, wrong question. Does it help my bottom line, is the better question. Archetypal US department store chain Macy’s created the Material Girl fashion line, designed with input from Madonna and Lourdes, her teenaged daughter. But when famous authors like John Grisham barely manage to write four pages a day and need all morning to do so, will Lourdes and Madonna manage two thoughtful blog posts each week? We love this mix of pearls and chains! CLICK HERE to enter to win this amazing necklace. Will Macy’s teenaged clients remain interested? Would your customers be? Raking in more than 1 billion pageviews since the blog was launched in early August is impressive. However, not every business can afford and wants to work with Madonna or Roger Federer (see video) to push their brand. Building long-term relationships and getting targeted traffic takes long-term effort, or you just get a flash in the pan. P.S. – Everybody wants to be on Google’s first page. Or not. Searching Google using “blog by Lourdes Macy’s” does not show her blog on the first page of results. Does it matter? Apparently not, given her traffic. If you are the local baker or a home builder, you might not use the social web and benefit from having your blog post go viral. But does it matter? Your clients who getting their fresh croissants or coffee in the morning might do word-of-mouth marketing for you on the subway or let their friends know via Facebook messaging. Nevertheless, understanding why you use social media as a baker or self-employed consultant is critical. In turn, achieving your SMART metrics seems a more likely possibility. Finally, writing interesting content on your blog using a human voice is likely to help you realize your social media marketing plan, but it takes time – as Madonna and Lourdes discovered blogging for Macy’s. And always remember that social media is not about critical mass, but critical connections. Please remember to leave a comment below! Thanks for this post, really liked it and of course.nnI loved your Madonna example… a sad story about consumers that fail to question some of her motives. Michael, thanks for the flowers about 5 elements of effective social media monitoring.nnYes the Madonna example is a bit special. Nevertheless, she as well as her daughter have gotten tons of visitors for their blogging. nnMacy’s will surely feel that since it increased sales, it is worth it…. But for how long that is the question – when will the people get bored by them pushing product instead of engaging.nnMichael, thanks for sharing. Here’s something that had me wondering:n”Recently, I came across something along the lines of, u201cAbout 32 percent of firms surveyed expect to eliminate channel partners and other u2018middle manu2019 relationships in order to maintain direct contact with customers while reducing costs.u201dnnI’m new to this game, but when I read channel partners in the context of online marketing, that makes it sound like it’s going to be much more difficult for my agency to sell a social media service to clients.nnAm I way off here? @WhitePapers Thanks for the feedback about 5 elements of effective social media monitoringnnActually, this post was a challenge to get it structured and written as it is now and what you find helpful. But I am glad to get this feedback, at least it was worth the effort.nnI find developing actionable intelligence or actionable metrics hard work as I have discussed previously here:nnBoosting ROI through social media measurementnnTim, thanks for sharing your thoughts with me and our readers. nnPS. I also invite you to sign up for our next webinar Sept. 28, 2010:nn===> Facebook, Twitter and Google versus your privacy: What can we do?